Babyoye presents full sleeves t-shirt for your little boy. Striped pattern makes it attractive. Round neck and pullover style ensures easy dressing. 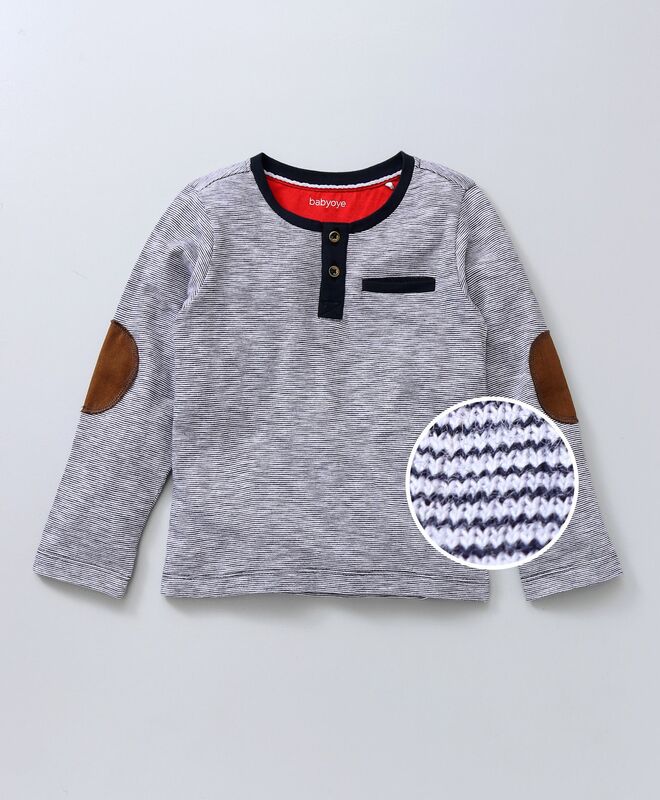 Crafted from soft fabric, the tee keep your child comfortable all day long. Styling Tip: Pair it up with Jeans, sandals and cap. nice but small . so I returned. "good to fit and look"